I filed for ch 7 BK in 7/2018 and it wa discharged on 10/17/2018. After the discharged, I prequalified for CAP1 Platinum and QS1 creditcard. I applied and was approved for the CAP1 Platinum credit card with a $500 SL. I was happy with that as this card rewards me with a higher crdit limit after five on time monthly payments. I'm about to make payment my four monthly payment in a couple of days. So in Nov 2018, I applied and was approved for the indigo platinum and the Blaze mastercard. They both had an annual fee of $75, but I'm going to cancel them before the 12 month mark approach. Since I included all the major CC companies in BK, I'm left with CAP1 and NFCU. NFCU lowered their deposits on their nRewards secured card from $500 to $200 in 1/2019. When I found out, I was excited because I didn't have to come up with the initial deposit. I have a checking and savings acct with NFCU and I want to build a good relationship with them on my credit rebuild journey for BK. They approved me and deducted the funds from my savings acct. The process of apply took about five minutes and then I got the message "your application is being reviewed". Thirty minutes later, I received another email stating "congratulations, you have been approved for the nRewards card". My goal is to let my four credit cards grow and age. According to my calculations, I'm hoping that NFCU graduates me by June or July 2019 because I would love to apply for their GoRewards card. I ultimately want the FlagshipRewards, but I did read on the forums that Barclaycard will let you back in after a year and seeing a steady credit history after BK. If I can get back in with Barclaycard, I would get the Arrival + card again. Once my CAP1 card hits month 5, I would like to PC it to the QS or the V1. Overall, I've learned from my mistakes prior to filing BK, but I'm happy with the fresh start I'm getting. I also signed up for the monthly score 3B report from myfico and my scores are: EQ-645, TU-642, and EX-629. Initially when I filed my BK, my scores were 515,499,520. Like I mentioned before, I definitely want to build a good relationship with NFCU. Once I do apply for one of their unsecured CC in the fall, I hope to get a nice SL. What is your success stories with NFCU and CAP1 after filing BK? Congrats on your rebuild journey. Glad you got the Plat and not the QS1. Yes you can upgrade to QS and at 3 months ask for a SP CLI before credit steps kicks in. Barclays is a bit wishy washy after BK. Some do some dont get back in after a year. Arrival+ you dont see many approvals after BK. Cap1 has changed since 2015-16 when I got into the rebuild mode. They were a lot easier back then. Like most CCC's they all have tighten up a bit. But w/o Cap1 I would be where I'm at now as you can see below. Good Luck and keep pushing. Give Disco a prequal try and yes dump those fee cards in time. So that I'm understanding you correctly, I can upgrade to the QS and ask for SP CLI before my platinum MC receives the CLI at month 3? I about to hit month 4 on my Platinum MC. Credit Steps is usually month 5 or what ever the online countdown is or the email you got after approval. After 3rd full statement cuts. Ask for a CLI online under "I want to" Next month ask for the upgrade. The link is on the site here. Dont have to call. Then credit steps kicks in auto cli. And your on your way. I am new to the credit building process. What's the credit steps you're referring too?? 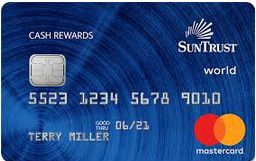 Cap1 has this program with their Platinum MasterCard and Quicksilver cards were you make five on time monthly payments, you’ll receive a CLI increase. For me, they’ll increase my CLI to $750 in 5/209. I’m not sure if everyone gets the same CLI as me, but it may vary. It varies. The highest is 500 which I got with staters below with SL's 2500 & 3000. Dont quote me. I believe lower SL's get lower CS. Same 5 month countdown. as he was denied right away for Cap1, ours was with Regions who did hard pull on all credit agencies. using same credit pull and approved. New credit accounts spaced out about a month apart. I’ll definitely look into that. It sounds similar to OneNevada’s credit builder loan.